The holiday season is full of opportunities for decoration, from twinkly lights on porches to festive indoor touches. What better time for kids to dip into their own creativity? 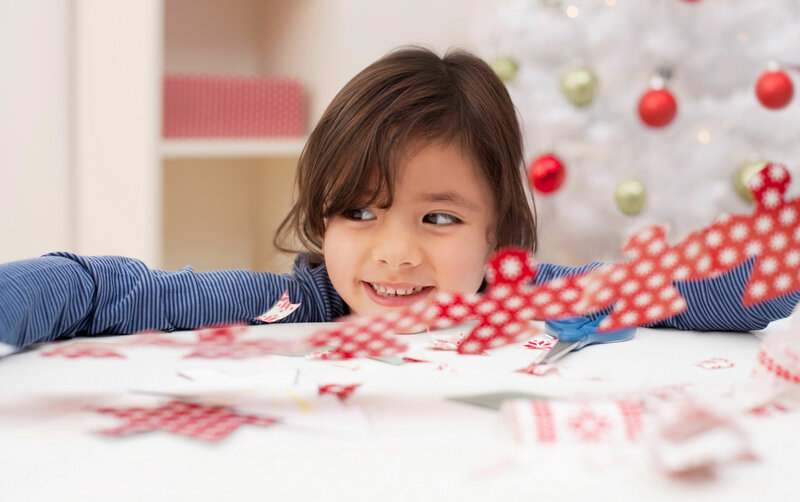 It doesn’t take much in the way of supplies to create some super-festive and very sweet holiday crafts as a family. And if you celebrate Christmas, you have a built-in depository for all kiddos’ completed tiny crafts: the Christmas tree itself. The ornaments and garlands ahead are just the beginning: It’s time to break out your sparkly pipe cleaners and get to it. Pinecones can be found at most crafting stores or if you’re lucky in your own backyard. Kids will love coming up with their very own ornaments to deck out a Christmas tree — or the whole house. Fill one shallow bowl with a mixture of craft glue and water (3 parts glue to 1 part water). Mix the glue and water together. Fill the second shallow bowl with a thin layer of glitter. Hold the pinecone over the bowl containing the glitter and sprinkle glitter over the wet glue. Tie a piece of yarn near the top of the pinecone in a loop. 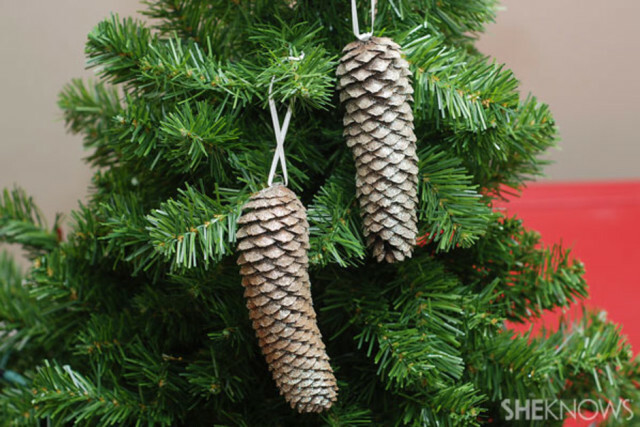 Tip: Pinecone Christmas tree ornaments make great gifts for teachers and family members. Originally published December 2012. Updated November 2017.